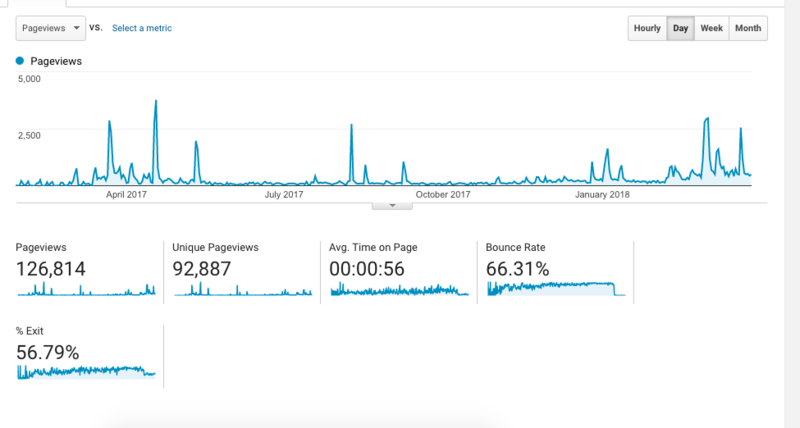 Bringing traffic to a new website is an exciting challenge. There is no previous traffic data to look back on, and Google is hesitant to send organic search traffic to a brand new website. While Dog Breed Cartoon started off with a fantastic professional website design, a huge online storefront of unique digital products (over 400 downloadable cartoons of popular and rare dog breeds!) and an eye-catching logo, there was no content on their blog, which meant there was no gateway for new visitors to strike up an interest in the site. In some cases, site visitors come to your site when they’re ready to make a purchase. Most of the time, though, they are not ready to buy from you, so you need to be able to make your website stand out and give them a reason to explore. Even if they don’t make a purchase on the first visit, you can make a lasting impression that will make them more likely to come back. And numerous shares from dog rescue pages, breed enthusiasts and individuals. What I enjoyed most about writing for Dog Breed Cartoon is the opportunity to create unique content. 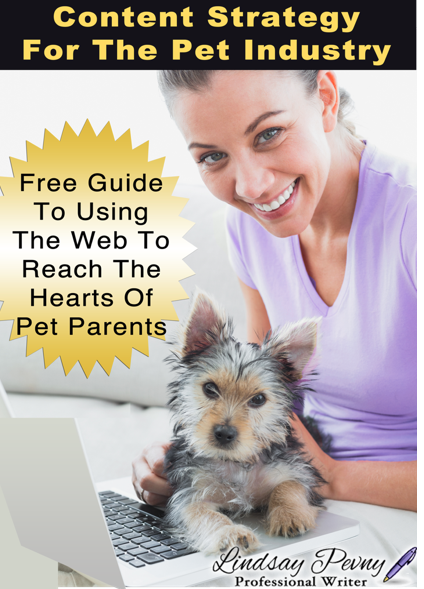 In the pet industry blogging space, the same topics get covered over and over again. If you’re writing the 200th article on the web about clipping your hamster’s nails, you’ll need to make a special effort to make sure you’re publishing the best hamster nail maintenance article. I decided to veer away from pet care completely and highlight a different dog breed in each article. Each article ends in a call-to-action to shop for artwork of the featured breed. 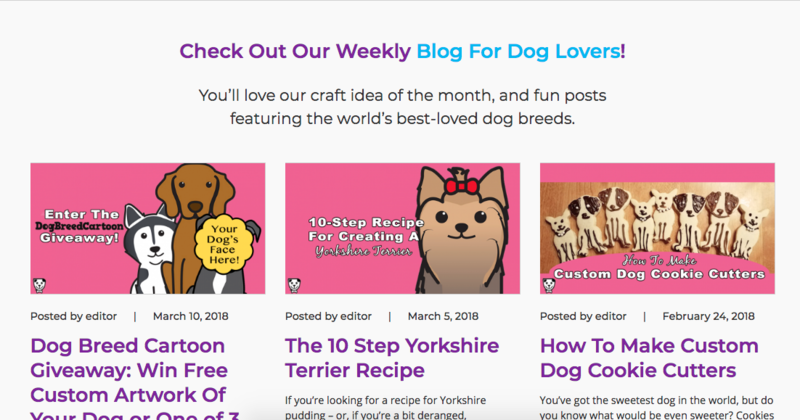 While providing research-backed tips and facts are critical for blog posts, they also need to evoke that deep emotional connection we all have with our favorite animals. Though I’ve never owned a Poodle, it wasn’t difficult for me to pull together the best things about them for 10 Reasons Why Poodles Are The Best Dogs Ever. This article was shared over 6.87k times, according to SharedCount.com. Facebook and Pinterest were, by far, the biggest traffic sources for Dog Breed Cartoon. We shared many of the blog posts to breed-specific Facebook groups, making sure to stick to any group guidelines and only reposting after a few months. Posting to Facebook groups can be hit or miss because some are close-knit, and prefer content shares from established members. 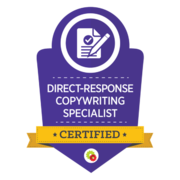 Since we were sharing relatable, entertaining content, the shares were well-received, and resulted in additional shares from members and breed-specific rescues and business pages. Attractive, vertical graphics typically perform well on Pinterest, and now that the platform uses hashtags, it’s even easier to connect with your targeted audience. Pinterest isn’t just for pins that show step-by-step recipes and DIY projects. You can create a Pin for any type of blog post. If it’s colorful, attractive and eye-catching, you’ll get some repins. I started a Tailwind Tribe for Dog Breed Cartoon to make even more headway on Pinterest. This tribe is one of the largest pet-related Tailwind Tribes and I also use it to promote articles from my other clients. I can also repin other members’ pins so I always have high-quality content to share. Want To Use Your Blog To Attract Thousands Of Website Visitors? Contact me to start strategizing!